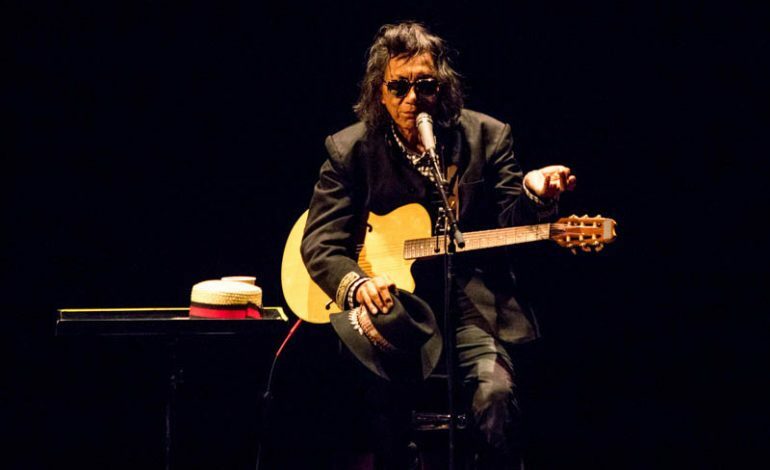 On a Saturday night, many gathered for a performance of the legendary singer-songwriter and Oscar winner, Rodriguez, at the Luckman Fine Arts Complex on the Cal State L.A. campus in East Los Angeles. 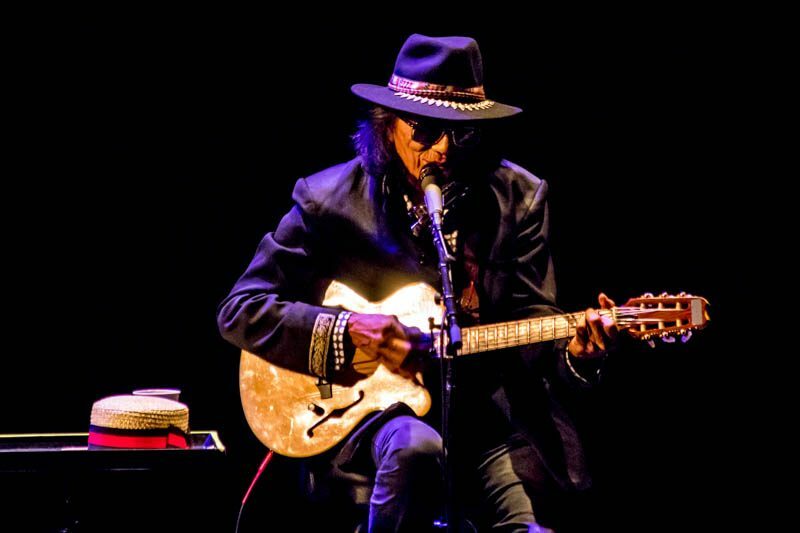 Searching for Sugar Man documented Rodriguez’s story of being a Mexican-American songwriter whose two early ’70s albums bombed in America, but who wound up finding a huge audience in Apartheid-era South Africa. 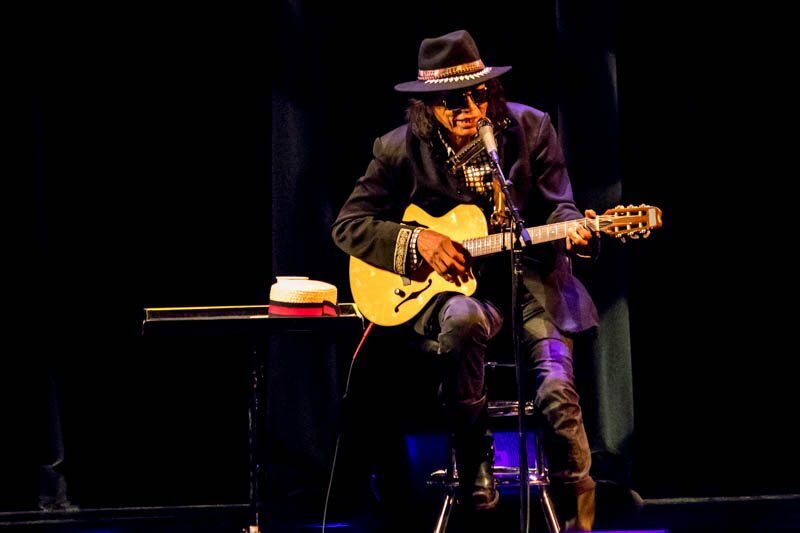 Sixto Rodriguez had no idea he was a legend there until a group of fans found him on the Internet and brought him to the country for a series of triumphant concerts. A little before 8:00 p.m., attendees were enjoying the reception right outside the theater, complete with a taco stand, beverages and a DJ. But those who were seated promptly at 8:00 p.m. were treated to a stunning performance by singer-songwriter Vera Sola. 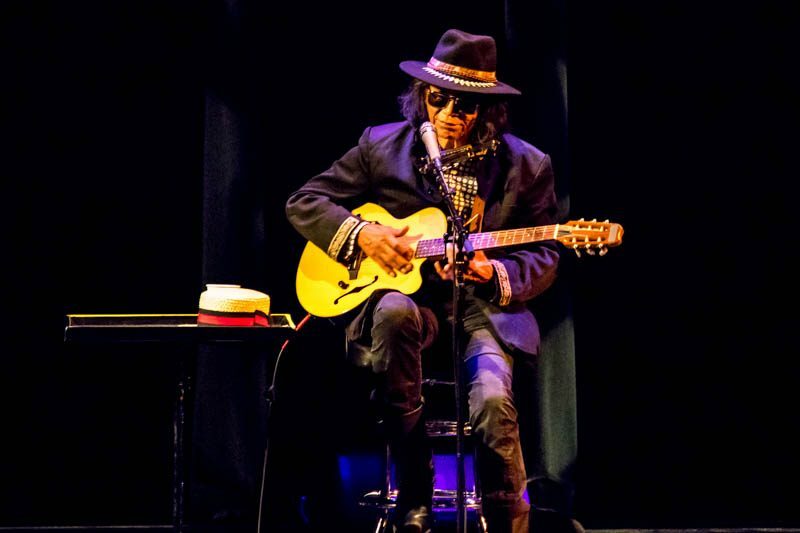 Shortly after, Rodriguez took the stage with the help of his posse, and the crowd cheered as loud as they could. 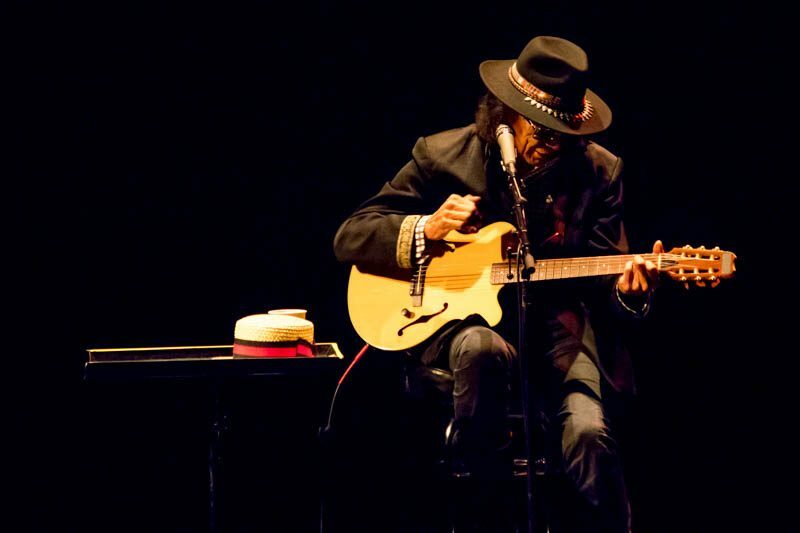 Rodriguez took a seat and was left solo with his guitar on stage. “I always check the tuning—trust no one,” he shared as he re-tuned his guitar. Some phrases he repeated throughout the night included, “I was born in 1942,” “I’m a musical activist” and “I have a few words for the commander in chief,” just to paint a picture. The crowd took the liberty of speaking back to Rodriguez whenever there was a pause. “Rodriguez for President!” One man said, which was followed by cheers. He played a few covers throughout the set, opening with Elton John’s “Your Song” and “Sixteen Tons” by Merle Travis and later playing The Doors’ “Light My Fire.” He performed mostly solo, sometimes accompanied by tambourine or maracas. The stage lights made it appear as though he was playing in a pool of water with flowers bobbing on the surface, adding a soothing element to his folk style performance. Before going into another popular song, “I Wonder,” he shared some words of wisdom: “It’s not kill or be killed, it’s live and let live.” The crowd sang and clapped along. He closed the set with “Forget It,” and everyone waited eagerly for an encore, which they received. He closed the night with a final, “I love you guys and my love is real,” leaving his message of love in the air all night.